In the same city is a gate of the greatest strength, built like a castle, possessing doors of bronze which now the emperor’s troops control, on which Virgil had placed a fly of bronze. As long as it remained whole, not even one fly could enter the city. Conrad here unravels unique relations between animals, men, and objects. Placed upon the walls of the medieval city of Naples, above the bronze gates, is a manmade object, produced in bronze in the shape of a fly, whose function is to prevent other, living, flies from entering the city. That object is more than just a physical presence on the exterior of the walls of medieval Naples and more than just a depiction. The bronze fly of Virgil is an image that “works,” so to speak. It is described as having a certain influence on the natural world. The object has a function; it is supposed to operate, to effect change. At the heart of the story is the manufacturer of the object, Virgil, the classical Latin author who, in medieval text and imagination, had been characterized as a sorcerer. The legendary qualities ascribed to Virgil and the legendary qualities ascribed to the object are played out in the natural world. Such consideration of operational qualities forms the essence of the collection of essays in this special issue, with its notion that images and artifacts have an ability to “act.” To consider how the bronze fly worked is to consider how images operate within various times, spaces, regions, religions, and frameworks as well as or according to various disciplines, subfields of study, and different investigatory modes. It is to study how images operate, and to reflect on the sheer qualities of objects in a broader sense. They may attract or, in the case of the bronze fly, repel living organisms. The mechanism for images that repel is known as apotropeia, from the Greek verb “to avert.” The bronze fly was considered to have a practical effect or function—to keep other flies at bay. As such, the small fly is part of a larger ensemble, the large gate and bronze doors, built “like a castle,” protecting the city by their strength. From Conrad’s letter, we know that the fly hanging above the city gate was found above the now-lost bronze doors that formed a threshold at the same gate. 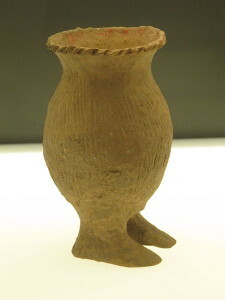 In this way we can understand the bronze fly as part of a wider environment of crafted objects made out of the same materials (bronze or other copper-based alloy) and according to the same technique (lost-wax casting). The bronze doors thus formed part of a created world of similar material objects—demarcating the threshold of the city—a world that included a bronze fly with a specific purpose or effect. In recent years, art history has seen a shift in the historical understanding of the material object, drawing further attention to historical experience and potential historical efficacy as a means of historical interpretation. Anthropologists and art historians alike have established viable interpretive schemes for the exploration of material objects. This introduction to the special issue Images at Work outlines the various problems encountered in articulating notions about the historical efficacy of an object. HANNAH BAADER is Permanent Senior Research Scholar at the Kunsthistorisches Institut in Florenz, Max-Planck-Institut. ITTAI WEINRYB is Assistant Professor of Medieval Art and Material Culture at Bard Graduate Center in New York City.